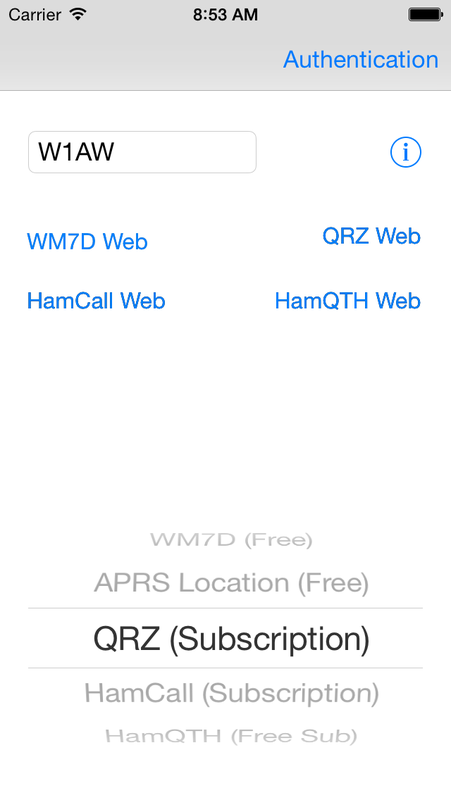 CallBook is an Amateur Radio application that allows you to look up call signs via the free WM7D server, the QRZ Online subscription service, the HamCall subscription server, or the HamQTH free subscription service, and track active APRS stations on www.aprs.fi. Lookup results can be emailed and the QTH can be instantly viewed. Location information is not available for all calls and is dependent on the 3rd party servers. 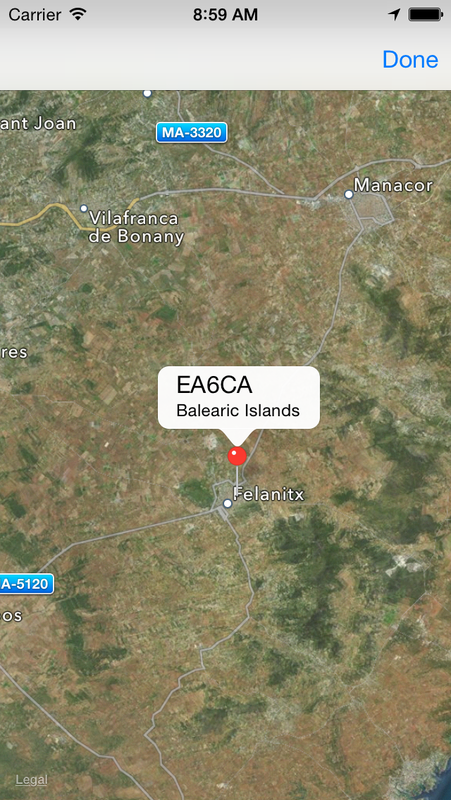 Different parts of the world have different levels of map data detail available for display in the Maps application. In areas where there is no satellite imagery available the Maps application will show "No Images". 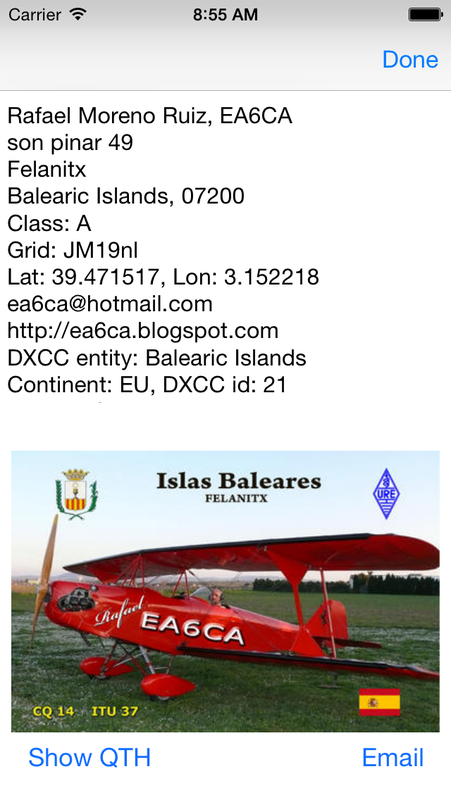 QSL pictures are available only from the QRZ Online and HamQTH Services. Only stations active on APRS can be tracked.